Orchids are the number one potted plant in the United States (USDA, 2016) with the Phalaenopsis orchid making up most of the commercial sales (Griesbach, 2002). 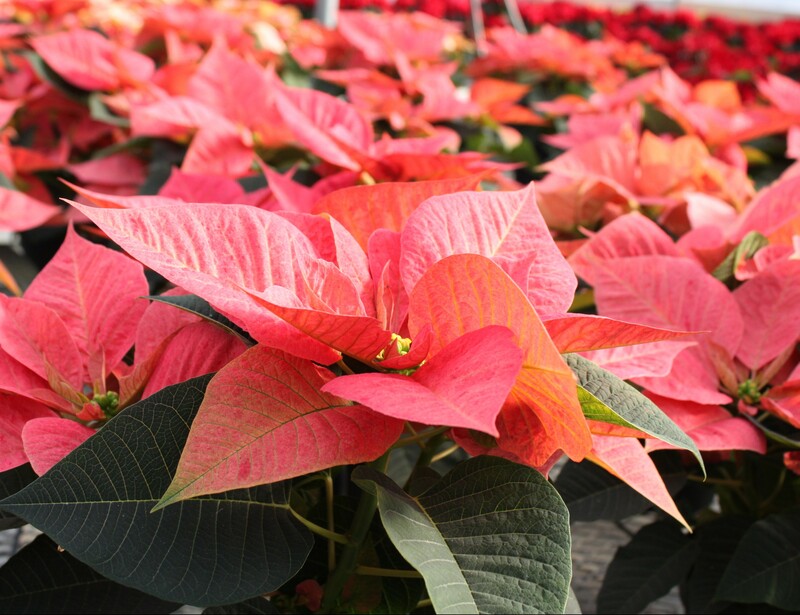 These plants can be found in grocery stores and garden centers in different sizes and many different colors. Phalaenopsis orchids make great houseplants because their temperature and light requirements are compatible with the environment found in a home or office (Banks, 2005). There is no doubt why these plants are so popular with their beautiful flowers and glossy green leaves, but caring for an orchid can be intimidating to some consumers. One of the biggest challenges with potted Phalaenopsis orchids is proper watering. Ice cubes have historically been used to water containerized plants during trade shows, when access to water is limited and watering plants can be difficult, but can ice cubes be used on a regular basis to water house plants? Why ice cubes? Green Circle Growers (Oberlin, Ohio) markets their Just add ice orchids™ with the recommendation that the orchids be watered weekly with three ice cubes. This recommendation has intrigued many and also raised some concerns about watering a tropical plant like orchids with ice. 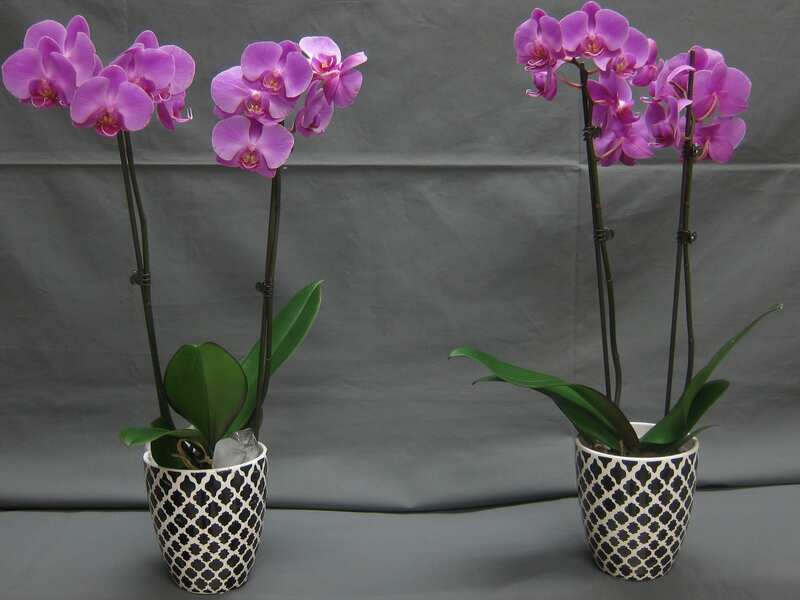 One goal of this recommendation is to increase consumer success with Phalaenopsis orchids by providing them with an easy way to deliver the right amount of water to their plants. In addition to being easy and convenient, the application of ice provides a slow release of water that is more readily taken up by the roots and retained by the bark media. When irrigated with water, much of the water that is applied runs through the bark and accumulates in the bottom of the pot. If orchid roots sit in water they can be damaged, and this can lead to the death of the plant. Does ice cube irrigation cause damage to the orchid? Watering a plant with ice cubes, especially a tropical plant like orchids, may seem a little strange. It was therefore important to ask if ice cube irrigation caused any damage to the plant. Experiments were conducted at The Ohio State University and the University of Georgia to answer this question. 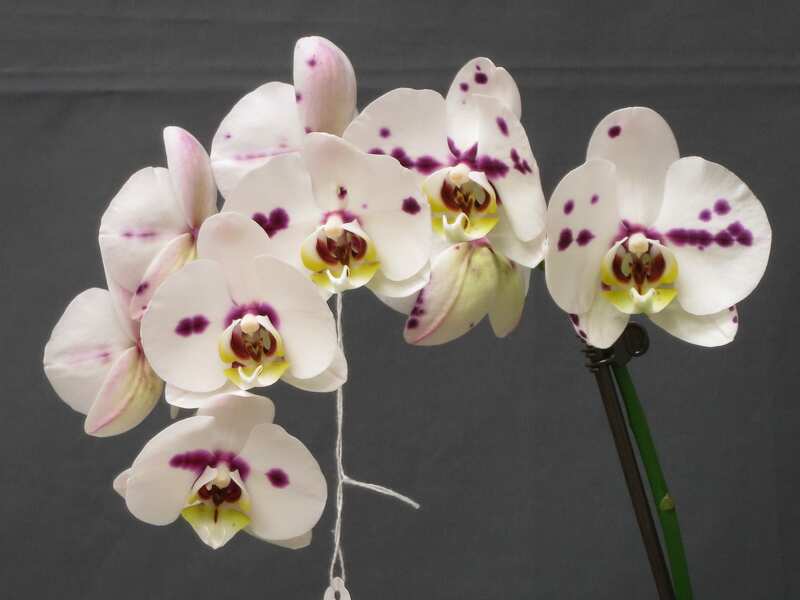 Forty-eight Phalaenopsis orchids at both locations were evaluated for four to six months. Half of the orchids received ice cube irrigation and the other half received the equivalent amount of room temperature water. The flower life, root and leaf health, and temperature of the media were measured. The orchids irrigated with ice cubes had the same flower longevity (number of days individual flowers remained open) and display life (number of days from when the plant was received to when the last flower wilted on each plant) compared to plants irrigated with room temperature water. The leaf and root health determined by measuring chlorophyll content, photosynthesis, and shoot biomass were not negatively affected by ice cube irrigation. The temperature of the bark media during ice cube irrigation dropped to only 51 – 56 °F, and then returned to the original pre-irrigation temperature of 70 °F five hours after the application of ice cubes. The roots in the bark media were therefore not exposed to freezing temperatures. What about the aerial roots in direct contact with the ice? The internal temperature of roots directly exposed to ice cubes decreased to around 40 °F. 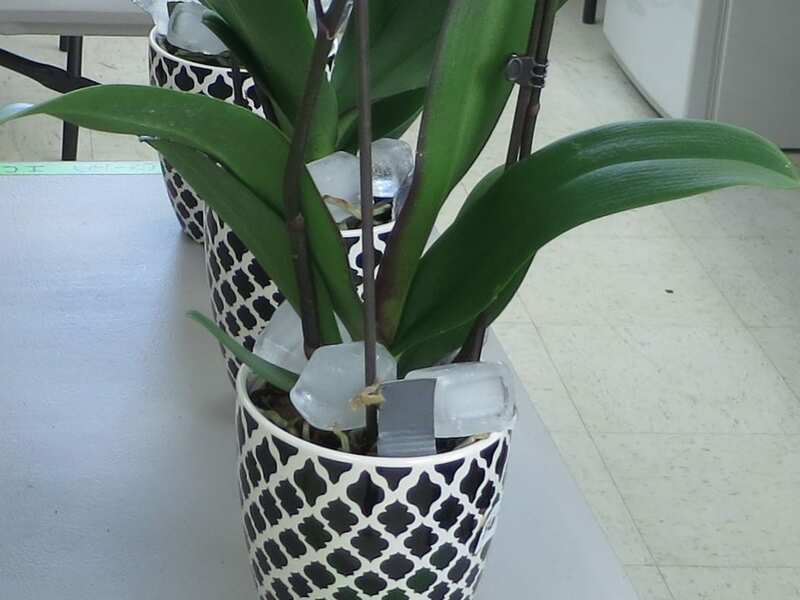 Experiments on isolated root segments showed that Phalaenopsis roots did not show any damage from cold temperatures until they reached 20 °F, well below the temperatures they experience when exposed to ice cubes for 5 or 6 hours. Can I irrigate my Phalaenopsis orchids with ice cubes? Yes! The results from the experiment described above show that ice cubes are a practical way to water Phalaenopsis orchids grown in bark media. The recommendation from Green Circle Growers we used during the experiment was three ice cubes, once a week. The ice cubes should be placed on top of the media, avoiding direct contact with the leaves. The water that remains in the bottom of the decorative pot should also be emptied to prevent damage to the roots. The amount of water needed by the orchid can vary in different cultivars and based on changing temperature, light, and relative humidity of the environment. Start with the recommended three ice cubes weekly, but monitor the plant to determine if this needs to be increased or decreased. Under-watered plants will have wrinkled, flaccid leaves. If the orchid is well-watered, the roots will have a green color, whereas when they are drier, the roots will have a slivery hue. Unhealthy, dying roots will be brown or tan (Cullina, 2004). Where can I find more information about the experiment conducted? For more information on the experiments presented above, please follow the link below to the open-access journal article published in HortScience. Banks, D. P. (2005). Orchid grower’s companion: Cultivation, propagation, and varieties. Portland, OR: Timber Press. Cullina, W. (2004). Understanding orchids: An uncomplicated guide to growing the world’s most exotic plant. Boston, NY: Houghton Mifflin. 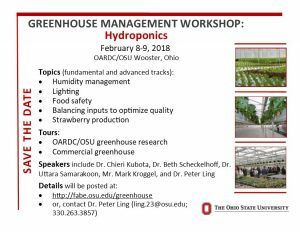 Learn about greenhouse fundamentals, IPM practices, and much more. Tour research and commercial greenhouses. 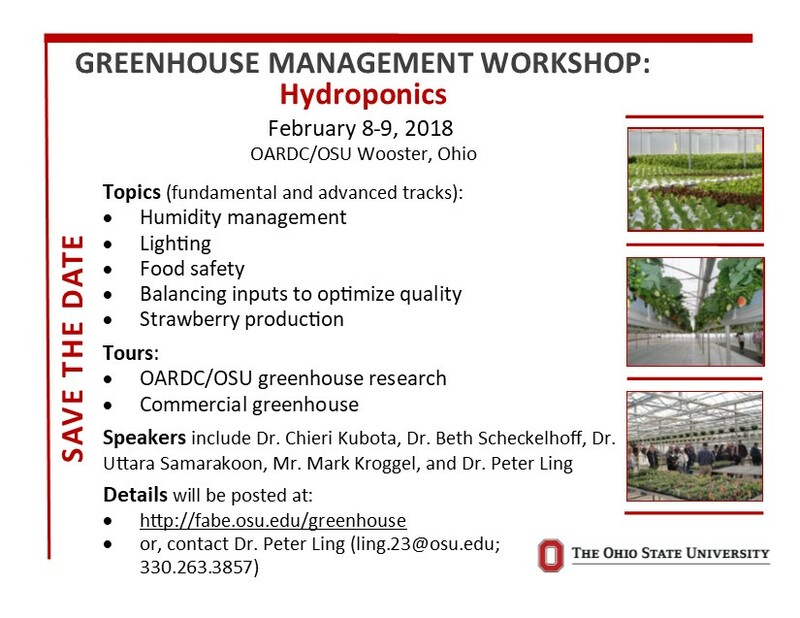 OSU’s Pesticide Education Safety Program is offering free WPS workshops that provide employers and managers what they need to bring their WPS program in compliance with the new requirements, including changes in training, restrictions during applications, personal protective equipment, decontamination supplies, recordkeeping, and more. Several workshops are scheduled in the next few weeks (WPS workshops flyer). Please click on one of the following dates to register!